What is wrong with people these days. I noticed someone tagged the new road supports for the 407 near the 401. Just stop this crap. 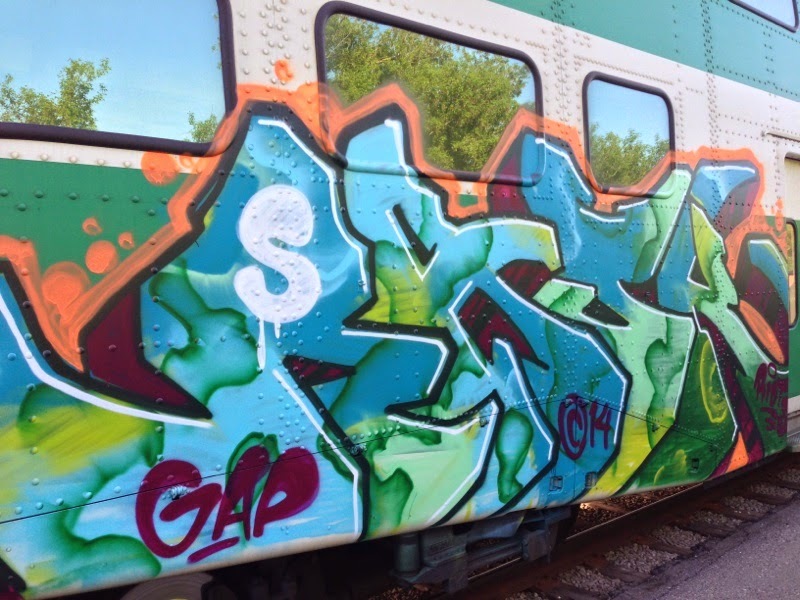 That certified 15 old genius "DAQ" and his buddy, the two entitled guys who "decorated" an entire GO train car at Oakville and then had their parents pay for the cleanup, apparently lives in my neighbourhood. His tags are on a light pole, mailbox and two or three other places within a block of my place. I wonder if Oakville city workers ever thought to ask his folks to pay for THAT damage?